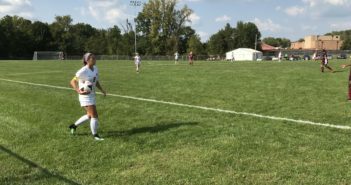 The UC Clermont Women’s Soccer team is still in its infancy, as it’s only the third year since the program began, and because of this, the team is still getting through some growing pains. For the first two years, the home games were played over twenty miles away from campus and practices were held at local parks. And, up until this fall, there were no convenient on-campus practice facilities, and no place they could really call home. So, last winter the university made an announcement that they would be resurfacing an area behind the Student Activities Center intended for practice fields. This upgrade, which was made available for both the men’s and women’s soccer teams, gives the Cougars a convenient practice location. 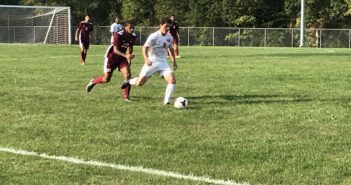 Only a few months afterward, the university made another announcement concerning a partnership made with West Clermont School District, to call the former Amelia High School soccer stadium the new Cougar home stadium. Taken together, these two major components have been key to the growth of the team. The proof is in the statistics; the first season these new features were made available to the team was the best year overall for the Cougars. The Cougars began the season against tough opponents and went 0 – 4, including losses to local rivals CCU and MSJ. Since that loss to MSJ, which was by a close score of 0 – 1, the team has only lost one other game, finishing the regular season on a seven-game winning streak and with a record of 9 – 5 – 1. 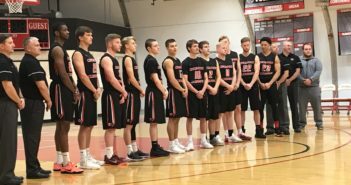 On October 31st, it was announced that the Cougars made the twelfth and final seed in the 2017 USCAA National Championship Tournament, which will be held in Virginia Beach, Virginia on November 9 – 13. Improving from a 1 – 9 record the first season to a berth in the National Championship Tournaments in the third year is a tremendous accomplishment. This can be credited to an influx of talented young freshman who were accompanied by strong leadership from returning players/captains Sara Ventura and Kat Richey, as well as outstanding upperclassman transfers Destiny Golden, Autumn Adams, and Anna Tessoff. One freshman of note is Cailyn Kliesinger, an Oak Hills graduate who is currently second on the team in goals and second in the nation in assists. Head Coach Blaine Callahan explained the other key component to the success of the program this season is the addition of volunteer assistant coach Richardo Israel, who brought energy and enthusiasm to the program. Callahan stated, “He truly cares about the success of the student athletes on and off the field, and it shows.” Coach Israel is a 2015 graduate of the University of Cincinnati and a former Big East Pre-Season All-Conference Player, and he brings significant knowledge and experience to the staff. He often spends hours on campus putting players through extra workouts or tutoring his players in The Learning Center. 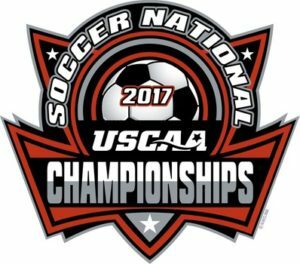 The Cougars are set to kick off on Friday, November 10th at 12:15 pm in their first game of the National Championship Tournaments. They’ll be facing off against the number one seed, and four time defending champions, Maine-Fort Kent. All students, staff, and faculty wish the Lady Cougars the best of luck at the tournament!